Just Salad has opened its first Philadelphia location at 17th and Chestnut streets. Have a costume of lettuce you've been dying to wear? Visit Just Salad on Halloween, clad in your greens, and you can walk away with a free meal. 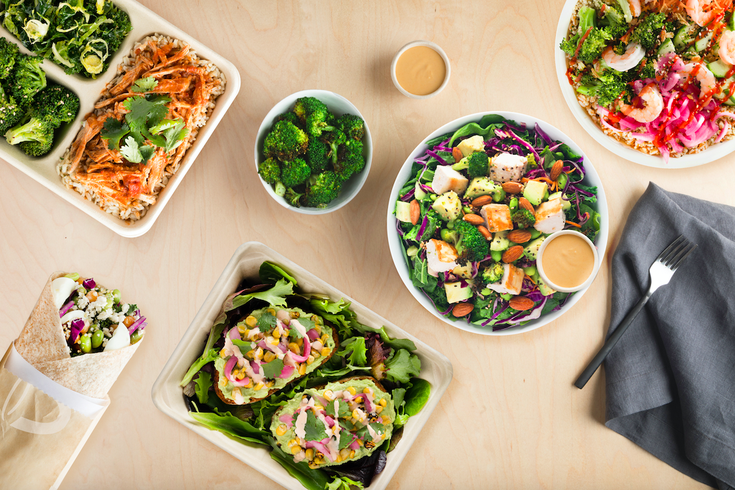 All day Wednesday, Oct. 31, Just Salad locations in Center City and University City will be offering free salads to any customer who comes in dressed as the meal. Have a good take on the "Woman Laughing With a Salad" meme? Here's your chance to shine. Whether you come dressed in meme form, or simply as a salad yourself – whatever that may look like – stop in and you've got a deal. Just Salad even posted some inspiration on its current Instagram story. If your food desires aren't exactly fulfilled by salad, BurgerFi in Midtown Village also has some Halloween deals going on, including a free small custard or order of fries to anyone who comes in costume Oct. 31. You don't even have to be dressed as a burger. As usual, Chipotle is also offering a Halloween-themed deal. Beginning at 3 p.m. Wednesday, you can get a discounted meal for $4, by either coming to a store in costume or by using the online code "BOORITO." If you can envision yourself wanting Chipotle all day every day, tag @Chipotle in a photo of yourself in costume at a restaurant on Halloween, either in your Instagram story or feed, and you'll be entered to win free burritos for a year. The take away from these deals (other than the free food): It pays to dress up for Halloween, even into adulthood.